We’ve all had a toothache at some point at some point or another. While you should always consult your Shelby dentist, it’s not always a serious problem. Often, the issue can be fixed with a filling or a root canal. However, many Shelby residents have found themselves in a situation where the tooth is not salvageable, and the only solution is for Dr. Miller to perform an extraction, or remove the tooth. 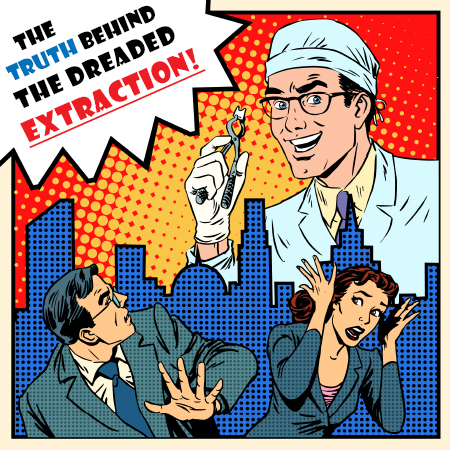 Today, Dr. Marissa Miller at Discovery Dental would like to talk about what you can expect from an extraction and why it’s not something to fear! Just like root canals, tooth extractions have a pretty bad reputation. Many Shelby folks may refer to something difficult by saying it was, “like pulling teeth.” However, Dr. Miller will be the first one to tell you that the technology and techniques of modern dentistry have made the process of extracting a tooth fairly simple and with minimal discomfort to the patients. As long as you take it easy after the procedure and follow the guidelines, you’ll be back to normal in a just a few days. Infection: If one of your teeth has an infection that extends to the pulp and could not be cleared up with a root canal and antibiotics, removing the tooth might be the only way to keep the infection from spreading. An extraction may also be required if the threat of a serious infection cannot be otherwise dealt with. Gum Disease: Infections stemming from gum disease weaken the support structures for teeth. Advanced gum disease can cause teeth to become so loose that extraction is the only safe option. Crowding: sometimes the arrangement of teeth does not perfectly fit the size or shape of the mouth. Severe cases, such as a tooth’s inability to erupt due to crowding, may require extraction. Pulling a tooth might also be necessary to prepare for an orthodontic appliance. If you think you might need to have a tooth removed or would like to learn more about extractions, feel free to give Dr. Miller at Discovery Dental a call today at 419-342-4217.